Unlike area public schools, Terra Ceia Christian School is required to take a nationally normed test to assess the progress of our students. 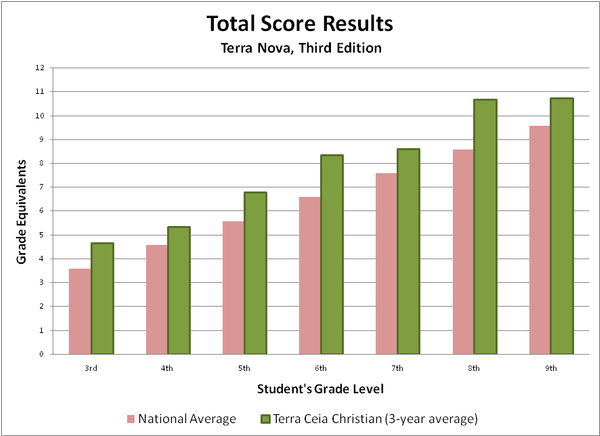 Each spring Terra Ceia Christian administers the Terra Nova, Third Edition testing to students in grades 3 through 9. In 10th and 11th grade, Terra Ceia Christian School administers the PSAT in preparation for college entrance test such as the SAT and ACT. College-bound juniors and seniors arrange to take college entrance tests in the spring of their junior year through the fall of their senior year. 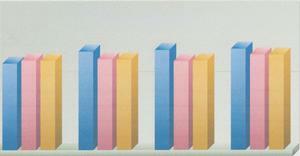 Please browse the results of our tests below. As you can see, students leave Terra Ceia Christian School academically well prepared!